The Mumbai-based man had travelled to Bengaluru a year ago and resided in Banasawadi. His body was found decomposed surrounded by ants. 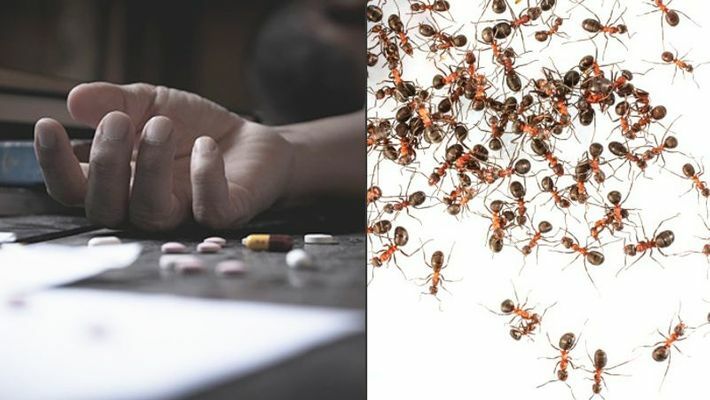 Bengaluru: A Mumbai-based writer's body was found decomposed, surrounded by ants at Banasawadi in Bengaluru. The 43-year-old man, Krishna Sriram, had come to Bengaluru a year ago and had taken up a house for rent in Banasawadi. Sriram’s death came to light when the houseowner, Jnanaprakash went to his house to collect the rent on Wednesday. Sriram did not open the door even after Jnanaprakash rang the bell several times. The owner then noticed that the house was locked from inside. Fearing the worst, Jnanprakash called Sriram's relatives in Pune. Their efforts to get in touch with Sriram over the phone went in vain too. Police later forced the door open and found his decomposed body. The house was found unkempt. Used vessels were not washed. A foul stench surrounded the house. The victim's mother is said to be an NRI and is a resident of the US. The report is yet to arrive but as Sriram lived alone it was difficult to surmise whether there was foul play involved. Further details along with the official cause of death is yet to be determined.